Bob B will give us an introduction to OpenVAS, the Open Vulnerability Access Scanner, including how he used Proxmox to set up his demo lab. Victor Kofia will discuss NixOS and the Nix package manager. Nix takes a declarative approach to systems configurations, and all upgrades/rollbacks are atomic. It bills itself as "the purely functional Linux distribution." Note: The location for this meeting has changed. It will now be held at TriOS College. Chris Irwin will give us a practical overview of UEFI (Unified Extensible Firmware Interface), the successor to computer BIOSes, and GUID partition tables, the successor to MBR tables. Jason Eckert will tell us about Pop!_OS, a Linux distribution by hardware manufacturer System76. This presentation will be beginner-friendly. Unfortunately Tom will not be able to present the Linux Mint presentation this month. Tim Laurence will lead a discussion on tools you can use to identify bottlenecks in systems. Brent Clements will talk about game emulators in Linux. Note: Benjamin Tompkins's presentation on virtual machines has been postponed. Important: We have had a last-minute switch in meeting location. For this month's meeting we will meet at our old location, St John's Kitchen. Jason Eckert will discuss the care and feeding of the Windows Subsystem for Linux, which allows you to run Linux "natively" on a Windows 10 machine. Update: Jason has provided his slides, and written a blog post about this presentation's contents. Lanny Cox will talk about tiling window managers -- in particular the i3 window manager. Mikalai Birukou will give us an introduction to LXD, the Linux container management system. LXD provides a cheap way to experiment with different installations. He says this is a beginner-friendly talk for those who dabble on the command line or are beginner sysadmins. Jason Eckert will discuss interesting SSH tips and tricks. Mark Steffen will demonstrate how to detect compromised sites using tools such as Burp Suite, Nikto and Vega. Jim Kelsh will offer a beginner-friendly presentation on running Linux in a virtual machine, using Windows 10 as the host operating system. How to organize and compartmentalize projects to reduce testing and growing pains. The GitLab development cycle tools he uses when working on Tugthr. How GitLab-Runners work, and the difference between shared cloud runners and runners on your own hardware. The remaining time will consist of an electronics swap meet. Do you have useful electronics that are no longer of use to you? Would you like to pick up some electronics for an upcoming project? Do you have stories to tell about cool older technology. Bring your things to giveaway and trade. If you have surplus, it will be sent to an organization that will dispose of it responsibly (Kwartzlab or Computer Recycling). Note: This meeting will be held at a new location, the Google Community Space. Future meetings will be held at the usual location. Also Note: Due to illness, James Kelsh will have to delay his presentation. He will reschedule. In celebration of the Debian Project's 25th anniversary, Hubert Chathi will talk about his experiences as a Debian Developer, including technical components (such as building Debian packages) as well as non-technical aspects (such as Debian's history). Madison Kelly will give a high-level overview of high availability technology. Khalid Baheyeldin will talk about the backup strategy he uses at home. He achieves versioned, incremental, off-site backups without relying on third-party services, using the dump utility. This presentation is intended to be accessible to new users. 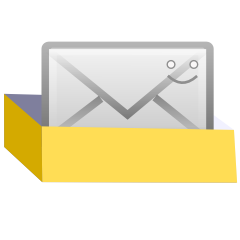 Colin Knapp will demonstrate the setup and use of Mail-in-a-Box. Jim Kelsh will demonstrate how to install Linux on a laptop. He may cover different installation methods and different distributions. This presentation is intended to be friendly to beginners to Linux. Charlie Drage will discuss his work (and contributions) to Kubernetes. Note: We have shifted this meeting a week forward. Cory Doctorow will be giving a talk on Dec 4 at the University of Waterloo, and there is some chance that tickets will be made available to the public. In this case many KWLUG members would prefer to attend that talk rather than this meeting. Doug Moen will tell us about Curv, a 3D modelling language he is developing for making art using mathematics. Jonathan Fritz will tell us about his work on Mattermost, an open-source alternative to Slack. Curv is an open source 3D solid modelling language, oriented towards 3D printing, procedurally generated art, and mathematical visualization. It's a pure functional language where geometric shapes are first class values, and are constructed by transforming and combining simpler shapes using an unusually rich collection of operators. Instead of polyhedral meshes or other boundary representations, Curv represents shapes as pure functions (Function Representation or F-Rep). This is a volumetric representation, where a function maps every point (x,y,z) in 3D space onto the properties of a shape. This representation is powerful, supporting a wide range of shape operators, and is a good match to the volumetric nature of 3D printing. F-Rep is well suited to being directly rendered by a GPU. To achieve this, Curv code is compiled into GPU shader programs or compute kernels. Mattermost is an open source alternative to popular enterprise chat applications like Slack, HipChat, and Microsoft Teams. It can be used on the web, your desktop, or your mobile device. The project is MIT-licensed, with an enterprise version available for paid customers that need additional functionality. Note: This visit is being organized by the University of Waterloo Cheriton School of Computer Science;, as part of their 50th anniversary celebrations, but the organizers have kindly opened the evening talk to the general public as well as the UW community. Blogger, activist and author Cory Doctorow will be giving two events in Kitchener-Waterloo on Monday, December 4. At 3pm Doctorow will be doing a reading and book signing at the central branch of the Kitchener Public Library. The event is free but tickets are required. See http://www.kpl.org/85-queen-afternoon-cory-doctorow-ticketed-event to get tickets. At 7pm Doctorow will be giving a talk at the Modern Languages building of the University of Waterloo. It is titled "Dead canary in the coalmine: we just lost the web in the war on general purpose computing" This event is also free, but tickets are required (and the event is expected to sell out). See https://cs.uwaterloo.ca/events/cory-doctorow for the talk description and a link to get tickets. The University of Waterloo School of Computer Science (SCS) recently undertook a project to provide several hundred TB of redundant, multi-building distributed high-performance storage for SCS users and infrastructure use. The first part of this talk will recount the non-linear trajectory of the project from the formulation of goals through to the delivered Ceph system. The design of this system allows for the modular addition of services utilizing the storage. The first such service, SCS Nextcloud, provides a DropBox-like functionality across all popular client platforms. 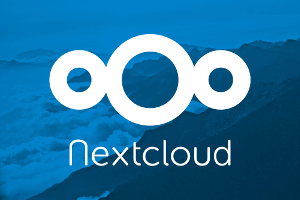 We will give details of a high-availablity implementation of Nextcloud built using haproxy and containers. Khalid Baheyeldin has been dabbling in a new hobby: amateur astronomy. In this talk he will share some of the surprisingly capable open source software he has found for astronomy, and has been using. This includes: planetarium applications, drivers for telescope control, astrophotography, astrometry, object databases, and more.